AGL is launching a new fixed rate, online-only power deal that sees usage and supply charges locked-in for a year, with no “confusing” conditional discounts. The AGL Essentials product is already available in Victoria, but will now be offered to customers in New South Wales, Queensland and South Australia from July. The retailer says the plan gives customers the chance to fix rates “they are comfortable with” and provides a level of certainty over future costs. Available as either a standalone electricity or gas plan, or bundled together, AGL Essentials promises “simply low rates” and no exit fees. Customers can also earn 10,000 flybuys points when they sign up online. Unlike most of AGL’s other market contracts, the Essentials plan does not include any conditional discount. However, customers must agree to email billing and direct debit payments. In Victoria, Essentials’ usage rates are noticeably cheaper than AGL’s other products, meaning that – despite the lack of conditional discount – it could work out cheaper overall than some AGL plans that do include discounts on the retailer’s standard prices. AGL told Canstar Blue that the plan has been received positively in Victoria. “Customers recognise the benefits of a simple plan that provides low fixed rates if paying by direct debit and receiving electronic bills,” a spokesperson said. AGL joins EnergyAustralia in launching a new fixed rate product. Along with Origin Energy, all three major power providers withdrew their previous fixed rate plans just after increasing prices in most areas in July 2017. “We regularly review our plans to ensure they are relevant to our customers. We removed the 24 months fixed rate offer because it was not meeting market demand at the time and developed AGL Essentials which is attractively priced for customers who want digital-only interactions,” the AGL spokesperson said. EnergyAustralia announced its new Secure Saver plan in Victoria and other states in October, before AGL followed suit with the launch of Essentials to coincide with annual price changes in Victoria in January 2018. The Secure Saver plan bucks the trend of previous fixed rate deals in that it also includes conditional discounts. Unlike with variable rate plans where retailers can change prices at any time, fixed rate plans see usage and supply charges set for a period of time. AGL’s decision to make the Essentials product available in other states comes at a time when most providers are adjusting their prices, with many tipped to lower costs. Origin became the first retailer to reveal July price changes with a modest reduction in electricity costs in Queensland and South Australia, while rates have been frozen in NSW and the ACT. AGL has not yet revealed its price changes for NSW, Queensland and South Australia, or specific rates for the Essentials product in those states. However, customers are being told to expect “simply low guaranteed rates so there is no need for customers to work out rates after ‘discounts’ which we know some of them find confusing”. The decision to launch its fixed rate product across NSW, Queensland and South Australia is the latest move from AGL to effectively ‘cover all bases’ in the Australian energy market. Not only does the AGL Essentials plan come with fixed rates, but the lack of conditional discount could be appealing to the segment of energy customers looking for an alternative, with a growing number of retailers now deciding to provide more ‘basic’ deals. It is also the latest in a growing number of online-only deals, with retailers including Origin and Lumo Energy also offering specific deals for customers who sign up via their websites. AGL also recently launched a prepaid power option in Victoria, whereby customers are rewarded with lower bills based on how much energy they purchase in advance. The retailer also currently offers a plan that comes with a free Amazon Echo smart device. 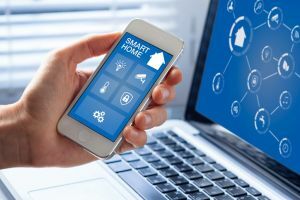 Meanwhile AGL recently revealed its new Energy Insights service that allows customers to monitor electricity usage by appliance category, meaning they can see how much things like cooking, heating, cooling, watching the TV and washing the dishes are costing. Energy Insights is currently only available to customers with digital meters in Victoria, but is expected to arrive in other states by September.